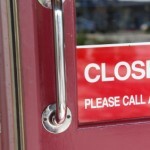 Having your phone system change the greeting when you’re closed is a very customer-friendly thing to do. Think about this scenario: It’s 5:05 p.m. You need to order parts, so you pick up the phone, call the parts company, and your call is answered by its Auto-Attendant. It then puts you in queue for the parts department, and you wait. And wait. And wait. Pretty soon it dawns on you that the parts company probably closed at 5 p.m. Or was it 6 p.m.? You simply don’t know! Do you continue to hold, not wanting to lose your place in the queue? Or are you the only fool holding while the phones ring incessantly in an empty building? The only way to keep your customers from experiencing this situation is to use a night answer option. Program it to let your callers know instantly that you are closed. You can then give them options to leave a voicemail, route to specific people’s voicemail boxes, or even direct them to the web. Some systems will enable you to count calls that come in after hours, so you can determine whether adjusting your hours would bring you more business. Don’t leave your customers in the dark! 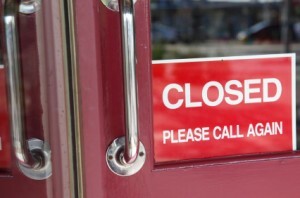 If you’re closed, let them know, and provide them with ways or times they can engage with you. Set up your Auto-Attendant to repeat the greeting automatically, and if you can’t do that, select an option key for callers to press that will replay the message. Callers may miss the option they need the first time, and not realize it until later. Some systems automatically route the call to the operator if you don’t press anything. But don’t automatically route the call until after the message has repeated at least once. I’ve heard Auto-Attendants that disconnect the call if you don’t make a selection quickly enough! Talk about not being customer-friendly! A recorded voice saying, “Goodbye,” simply because I was thinking about the option I needed, or didn’t realize I had reached the end of the menu, is a great way to lose a customer! Always. Always. Always give the option for your caller to reach a live person. Make it easy. Don’t hide behind your phone system, forcing callers to do things the way you want them done. I can guarantee you that at some point, a customer will call with some issue that doesn’t fit neatly into your pre-programmed options, and connecting that caller to a live person will resolve the issue with less frustration on his or her part. Think about who should take those calls. It depends on your business structure, but consider not sending those calls to a receptionist or secretary. Think about it….What this caller needs hasn’t been addressed by any of the options in your Auto-Attendant. Do you think the secretary is qualified to handle the caller’s request? Likely not. Always give the option to reach a live person in some way. Your customers will thank you for it! Always Give the Option Before the Number! As I approached the elevators to head to my fourteenth floor hotel room recently, I was met with the elevator selector pictured here. Someone on the design team of this elevator company felt 100 percent positive that this selector was designed clearly so I would have no trouble at all in choosing whether I wanted to go up or down. You may think so as well. If you wanted to go Up, do you push the button that the Up arrow is pointing to? Or the button beside the Up arrow? 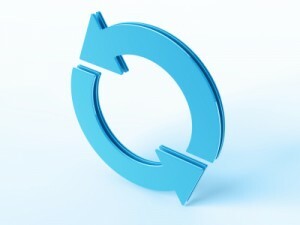 It kinda looks a little circular to me, and that could get frustrating! 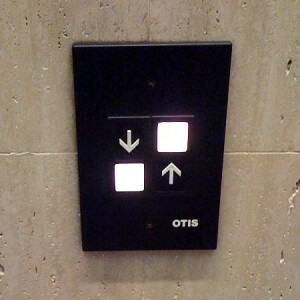 Here’s what this elevator selector has to do with phone systems. 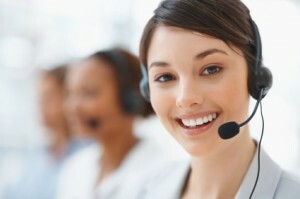 Too often, the Auto-Attendant is set up on the fly by whoever is installing the phone system. Sure, the installer has tried to get the business owner or manager to tell him what options to program, and what to say, but the truth is, the business owner is thinking “Phone System” at that point, not “Caller Experience.” See, those are two different parts of the brain! That’s even hard to write, must less listen to over the phone! And here’s why: When you give the number before the option, I have to hold that number in my head while I listen to the option, and I have to analyze whether or not that’s the option I need. After listening above, I’ve got a total of seven options in my head, and they are all jumbled together. Because I’m not calling to push a number…I’m calling to go to a department. If you list the department first, followed by the option (“To reach sales, press 13”) the department name, “clicks” with what I’m looking for in my head, making it a very easy choice to press 1. If I don’t need the Sales department, I can simply forget about that option altogether, and move on to the next one. So what does your Auto-Attendant sound like from the caller’s perspective? How do you decide whom to help? How many times has this happened to you? Your front door opens, and in walks a new customer. At the same moment, the phone begins to ring. In a lot of small businesses, answering the phone and helping the walk-in customer both fall to the same person. Do you let the phone ring? Or do you hold up your hand to the customer, in the unspoken language of “wait,” and answer the phone? Which customer is more important? That’s right…both, and it’s your job to make both feel important. So how do you do that? First of all, have a backup plan for you phones. It doesn’t matter if it’s a customer walking in the door, or one more line ringing that you can’t answer, you need to have a backup plan for your phones. 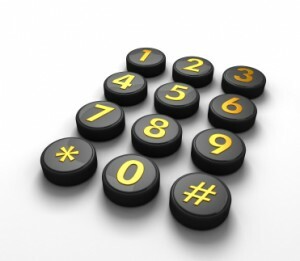 Tip: A busy signal isn’t a backup plan! If you’ve chosen to live answer every call…if that’s your effort, and you’ve determined that is the best approach, it still will be a good idea to have a well-designed Auto-Attendant as a backup plan. At some point you will need it. The easiest thing is to let the phone ring to your backup plan while you help the walk-in customer. The live person can see your actions; the caller can’t. The caller doesn’t know whether or not you are deferring her. The walk-in customer does. So help the walk-in customer. Let the call go to your backup plan. Let the caller know your staff is busy. Give the caller options to reach people or departments for which he may be calling. You may not need to handle his call at all! Ask the caller to hold (and if your system supports it, give him the option to wait in queue). If your phone system doesn’t support a caller waiting in queue, you could answer the phone and ask him to hold. But make sure you wait for the answer! The caller may just need to transfer to another person, so you can quickly handle that for him without neglecting the walk-in customer. It really is a juggling act! Test your backup plan. Make sure that if you’re on the phone, calls will be handled properly. Nothing is worse than “thinking” it works, when it really doesn’t. Or it sounds poor. Or it doesn’t provide the options you thought it did. Test your backup plan. It’s not a “plan” unless it’s been tested! I love well designed phone system menus. Unfortunately, the Caller Experience when calling the Federal Trade Commission is not one of those well designed systems. After listening to the entire Auto-Attendant menu (which is quite confusing in itself! ), it gives the option “To repeat this menu, press *”. What happens when you press *? Have you tested your phone system lately? 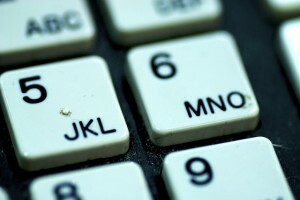 Do you know what your customers experience everyday when calling your company? Having options listed in your message that don’t match up with your phone system programming is extremely frustrating to your callers. It’s tempting to pin this inefficiency on the fact that the FTC is a government office, and therefore not too concerned about the Caller Experience. After all, there is no competition, right? But far too often, we are calling and testing business with these same types of issues. Companies that really do care about doing business with you…they’ve just overlooked some very important areas of customer interaction. So take a moment now and try your Auto-Attendant options. Do they send your call where it says it’s sending you? But just because this is the last rule, doesn’t mean there aren’t others. If you’ll listen, you’ll probably come up with some more additions on your own. If so, I’d love to hear about them in the comments! This rule applies almost more to On-Hold messages than to Auto-Attendants. Both of these areas of phone messaging need to focused, concise, and clear. 10. Try to leave out the part that users tend to ignore: Think of what you ignore when you’re talking on the phone: long, extended stories that meander around, spiraling off into subplots and minor characters, taking up your precious time. What the speaker is doing is perpetrating a monologue where a dialogue was supposed to exist. I’ll bet your mind wanders through most of it. And, like Leonard, my most important rule sums up the 10: If it sounds like writing, I rewrite it. If users will ignore it, there is no sense in having it in there. You just need to determine which parts they will ignore! It’s easy really…callers ignore what isn’t relevant or helpful to their goal. Sometimes businesses want to fill up the messaging with things that the business cares about, rather than what the caller cares about. If your messaging doesn’t pass the “so what?” test, you probably need to have it re-written. If it sounds like every other company out there, it probably needs to be rewritten. 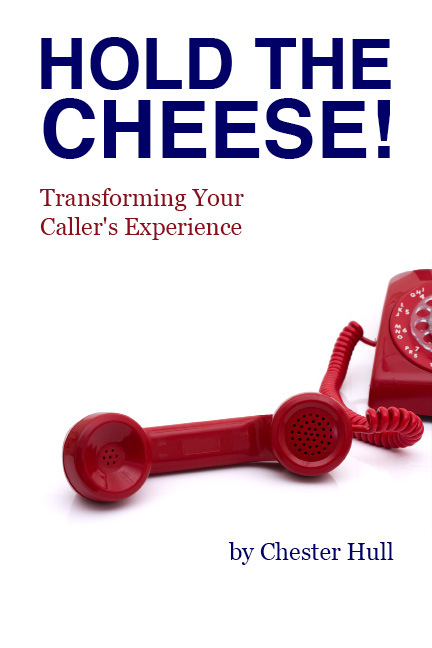 Try delighting your callers instead! It’s been fun sharing these 10 points with you. Many thanks to Melanie Polkosky.